The Lays Potato Chip bandit hit a Thoreau church the night of Aug. 5. Alfred Vaughn, the pastor of the Thoreau First Baptist Church, told McKinley County Sheriff deputies that when he came to work on Aug. 6, he found the power to the church cut off and an east side door that had been pried open. A search of the building found that the only thing that was missing was two boxes containing 60 packs each of Lays potato chips. Gallup Patrolman Clyde Kleeberger was dispatched about 7 pm, Aug. 4 to the Courthouse Square because of a report of an intoxicated person who was being belligerent. When he got there, he met Bernice Ahasteen who was holding her neck and complaining of neck pain. 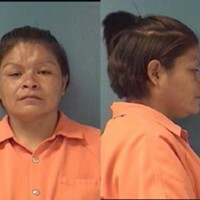 She said she had been with a friend – Valencia Yazzie, 48, of Ganado - who got mad at her and began hitting her. She added that Yazzie did this kind of thing often. 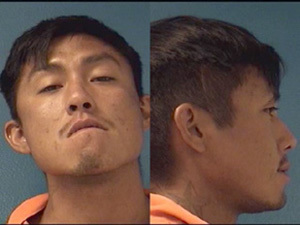 After Ahasteen was transported to a local hospital for treatment, Kleeberger talked to a witness who said he saw Ahasteen hitting Yazzie, and after he went to call police and came back, he saw Ahasteen on the ground. Based on his investigation, Kleeberger decided that Yazzie was the primary aggressor so she was arrested for battery on a household member. 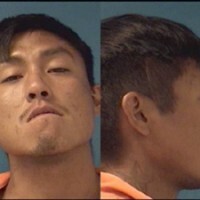 Gallup Police Officer DeWayne Holder said he was dispatched to the Home Care Options on South Second Street on Aug. 2 in connection with a woman who was being disorderly. Once he got there, he met Johnson Duboise who said his girlfriend, Arlene Charlie, 33, of Vanderwagen, drove into the building when he was outside. He said she got out of her vehicle and threw a piece of asphalt at him. He said she missed him. When he complained, he said she hit him twice in the face. 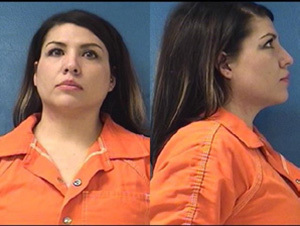 Charlie was located and she admitted hitting Duboise because he was arguing with her. 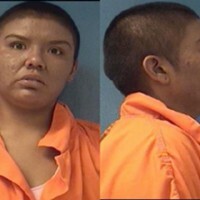 She was arrested for battery on a household member. She also had two outstanding bench warrants. 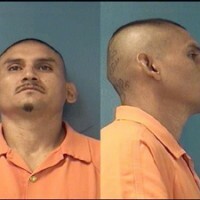 Sheriff Deputy Anthony Morales said he was dispatched to Gamerco Aug. 3. When he got to the house, he noticed Denette Chavez, 38, of Gamerco was agitated and waving her hand at him as if telling him to leave. It turned out that Chavez and William Silva had been arguing and Silva had called for a deputy. He told Silva that Chavez had been up for four days and was on drugs. Morales found a black container that had marijuana on it. She was arrested for disorderly conduct, for possession of marijuana and possession of drug paraphernalia. A Virginia couple were arrested on July 31 when Gallup police were informed they were in the area driving a stolen vehicle. Officer Norman Bowman said he was alerted by the company tracking the cars GPS system that it had been reported stolen and was now in the Walmart area. He said he went to Walmart, found the car and initiated a high-risk traffic stop, which included him pulling his gun and having the two occupants get out of the car and on the ground. Aubrey Hutson, 19, the driver, and Stephen Via, complied and were taken into custody without incident. Bowman called the owner of the vehicle in Virginia and was told that Hutson had used her car but never returned it. 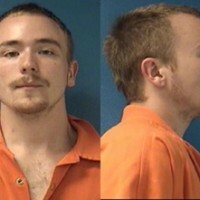 Hutson was charged with receiving a stolen motor vehicle. 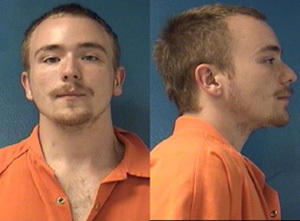 Police found drug paraphernalia and marijuana on Via’s person and he was charged for that. It began with a report of a man looking through windows at a residence on the 900 block of West Maloney Avenue. When police arrived on the scene, they found a man who said his name was Jason McCabe and he was there because his car had broken down and his cousin lived there. That part about the cousin turned out to be true but the homeowner said he was not welcomed at the house. There was a question about his name, however. 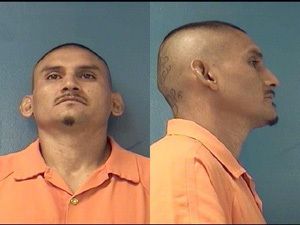 It turned out that his real name was Jacoby Garcia, 31, of Gallup and he had three outstanding bench warrants. He was arrested on the bench warrants with an added charge of concealing his identity. When he was searched, police found drug paraphernalia on his person and he was charged for that as well. 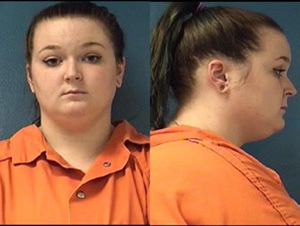 A mother-daughter argument ended up on July 28 with the daughter being charged with battery on a household member. 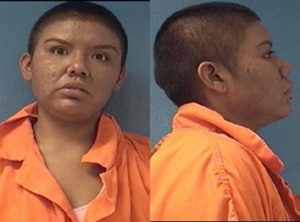 Sheryl Begay told city police she and her daughter, Shawnell Begay, 24, of Gallup were loading items into her vehicle when they began arguing. The argument became physical when the daughter reportedly began throwing things off the kitchen counter and grabbing pictures off the living room wall and throwing them. 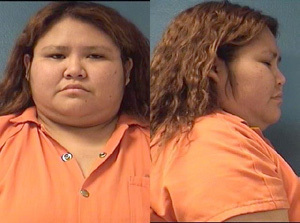 Sheryl Begay said that was when her daughter threw her against the wall and hit her on the nose. 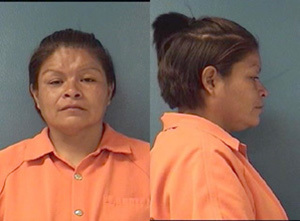 Shawnell Begay was taken into custody and transported to the county jail. 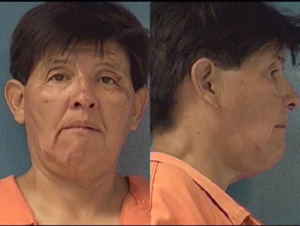 Gallup police responded to a domestic dispute at the Hacienda Motel, 2510 E. Highway 66, about noon on July 26. By the time they arrived, the dispute had been settled but Vicky Hicks, who had rented the room, said she did not want her daughter, Latefa Hicks, 24, of Yah-Ta-Hey there. She also informed police that her daughter had an outstanding bench warrant. When informed that her mother had told police about the warrant, Latefa Hicks became very angry and said she was not going anywhere. In the struggle, she also ripped a duty belt from one of the officers. She was finally handcuffed and charged with resisting arrest, battery on a peace officer, and criminal damage to property. Gallup Police Officer Adrian Quetawki said he was dispatched on July 26 to an address on Sandstone Avenue because of a reported domestic disturbance. When he got there, he said he saw Calen Samm, 25, of Mentmore, walking away. When he asked him to stop, he began running away and Quetawki said he had to chase him down. After he was detained, Quetawki said he talked to Lis Davis, who said she and Samm got into an argument after which Samm said he was going to take her car and drive away. 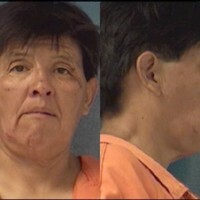 She said she grabbed the car keys because she felt he was too drunk to drive. Quetawki said he noticed that she had a deep cut on her head and other injuries, and he asked if Samm had hit her. Davis said no, she got the injuries when she fell chasing after him. Quetawki said he kept asking if she had been injured by Samm and she continued to say no. 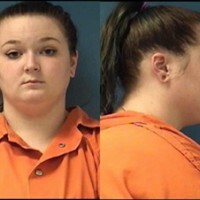 She was transported to a local hospital and Samm was charged with criminal damage to a household member, battery on a household member and resisting arrest.